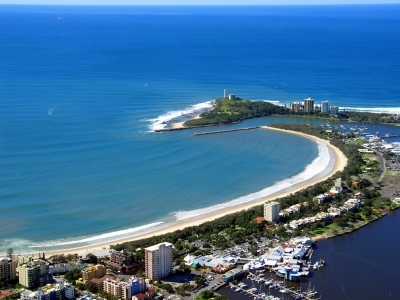 The Sunshine Coast Queensland is famous for it's pristine coastline and unique hinterland. It's a great holiday destination for both couples & families with some of the main attractions such as the Eumundi markets, Underwater World & Australia Zoo. The Sunshine Coast is the perfect mix of coast and country and the ideal holiday place to relax and unwind. The Coast begins at Caloundra, just one hour's drive north of Brisbane and extends to Cooloola, the gateway to Fraser Island. It takes in tranquil hinterland including the Glass House Mountains, Blackall Range, Noosa Hinterland and the Mary Valley, as well as more than 100 kilometres of beaches stretching through the coastal towns from Caloundra to Noosa. The Sunshine Coast also offers some of the best diving experiences in Queensland. One major drawcard of diving the Sunshine Coast is that it offers variety, ranging from the newly created shipwreck of the ex-HMAS Brisbane to the shallow waters of Mudjimba (Old Woman) Island to the more adventurous dive of Wolf Rock, there are plenty of dive sites to explore. With water temperatures that range from 18 degrees C to 27 degrees C and beautiful sunny weather most days of the year, the Sunshine Coast offers divers a safe and spectacular environment to explore while holidaying and enjoying the stylish and relaxed atmosphere. So whether you like surfing, fishing, diving, shopping, fine dining, bushwalking or relaxing - you will find it all on the Sunshine Coast.